Actress Danai Gurira, Zimbabwe's export to Hollywood has been unveiled as the face of a local anti-poaching campaign running under the theme "Poaching Steals From Us All". The Black Panther star who is in the country to raise awareness against poaching activities that are depleting Zimbabwe's wildlife population, on Monday graced the campaign's launch at ZimParks Gardens in Harare. As a special guest, Danai who starred as Okoye in Black Panther - an American superhero film which was ranked the world's ninth-highest-grossing film of all time, hogged the limelight at the Harare launch with her poise and down-to-earth personality. Explaining the campaign, Zimbabwe Parks and Wildlife Management Authority (ZimParks) spokesperson, Tinashe Farawo said they had partnered Danai, among other local celebrities, to be an ambassador as she has done well on the international stage. "Danai is one of our own who has done well for herself on the international platform. We partnered her for this campaign to assist us to attract goodwill as a country. She's an international brand whom we're confident can assist us to attract more people from America – one of our biggest markets," said Farawo. "Her role is to also assist with our fight against poaching which has been affecting us as a country over the years. I think the figures (poaching) are going down and with the coming on board of Danai, it'll go a long way as we'll likely have more partners in our quest to protect our animals." Farawo said Danai, together with their American partners for the campaign, are now in Hwange where they are having an appreciation of the tourist destination as well as filming videos that will be used for the campaign. Thereafter, they will travel to Victoria Falls. Other than Danai, Farawo said they wanted to partner the likes of Oliver Mtukudzi, Pathisa Nyathi and Albert Nyathi as well as community leaders for this anti-poaching campaign which will be spread nationwide. "We'll be rolling out this campaign throughout the country for our people to know that when tourists are coming to Zimbabwe, they're coming to see wild animals. That awareness must sink into our people and they should feel proud. "We want to educate communities on the importance of the anti-poaching campaign and the importance of keeping our animals," emphasised Farawo. This campaign is the biggest recognition for the Black Panther star from her home country and it could open doors for the campaign outside the country as Danai has a huge following worldwide. Zimbabwe Tourism Authority (ZTA) head of corporate affairs, Godfrey Koti, who attended the launch said it was exciting to have Danai being part of an innovative new communications campaign to protect Zimbabwe's wildlife. 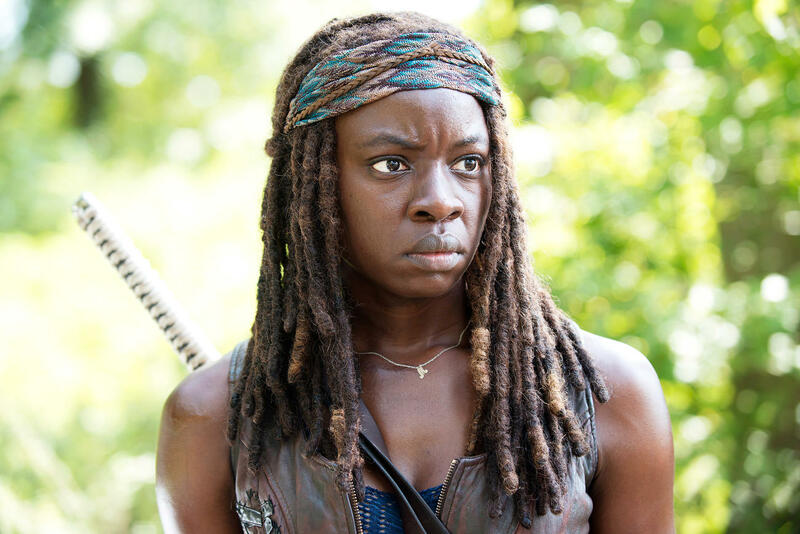 "Danai Gurira is the lead celebrity for the 'Poaching Steals From Us' campaign. These are tremendous efforts by the ZimParks, WildAid from America, Zambezi Society, ZTA and their various partners to accelerate the fight against poaching. "Non sequitur: Danai is such a humble Zimbabwean who deeply loves her country," said Koti.